مرحباً، أرغب بالاستعلام عن عقارك رقم بيوت - 108-Ap-S-6564. أرجو منك الاتصال بي في أقرب وقت ممكن. 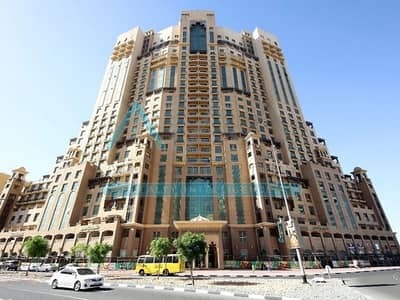 Land Department Permit # 19080AIM PROPERTIES HAS VERY NICE STUDIO FOR SALE IN DUBAI SILICON OASIS. FOLLOWING ARE THE PROPERTY FEATURES. FEATURES:- 496 SQ FEET NET- Spacious Studio - Private Parking- Swimming Pool and Gym- Opposite to LULU Mall-Asking Price: AED 399,000/ OnlyFor further viewings, detail call Syed @ 055-1007971COMMUNITY DETAILS:- 24/7 Gated and Secured Community- Carrefour- Choithrams- International restaurants & Cafes- International Schools- Hospitals- Banks- 3 Expressways Access (Al-Ain Rd, Sh Mohd bin Zayed Rd, Emirates Rd)Company Profile Overview:AIM Properties has been recognized as a leader in the market of distinctive and luxury properties, committed to high performance and professionalism. With our lucrative and auspicious background of finance & investment, we deliver excellence in real estate. We promise a swift response, the highest standard of service & dedication to both quality and integrity.